LS Polls 2019: The BJP on Wednesday fielded Sadhvi Pragya Singh Thakur from Bhopal against Congress's Digvijaya Singh. New Delhi: Amidst the ensuing Lok Sabha elections 2019, the Bharatiya Janata Party (BJP) on Wednesday fielded Sadhvi Pragya Singh Thakur, an accused in Malegaon case, from Bhopal seat, pitting her directly against Congress heavyweight and former Madhya Pradesh chief minister Digvijaya Singh who is also contesting from the same seat. Before announcing her induction in the party, Pragya had met senior BJP leaders Shivraj Singh Chouhan, Ramlal, and Prabhat Jha at party’s office in Bhopal. Talking to media, she said the election in Bhopal will be fought on the issue of nationalism and called it the beginning of ‘Dharam Yudh’. 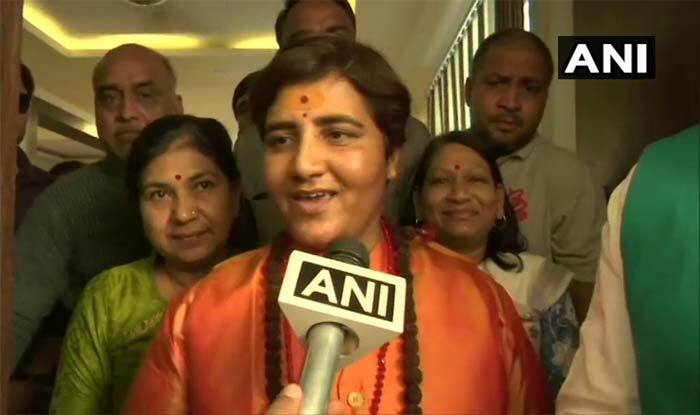 Sadhvi Pragya Singh’s name was announced in a list of four candidates announced on Wednesday. The polling for Bhopal will take place on May 12. The results will come out on May 23.